We understand that depression can rob you of your happiness, creativity, and dreams for the future. Our counselors offer assistance by helping our clients find opportunities for reaching their potential and finding balance. Our practice has a great deal of experience helping clients define and reach their goals. 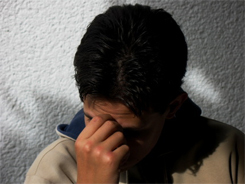 Our depression management therapy is solution-oriented counseling. The key to our success has been our ability to help clients make small, manageable changes that turn into big differences in their lives. Therapy, coaching, and support from our highly skilled staff can help you manage your depression. If you or a family member would like assistance with depression, please feel free to contact us for an appointment.